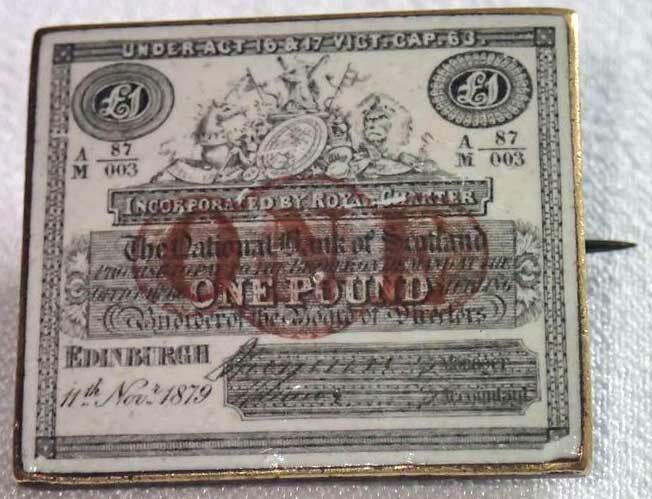 Enamel pin badge featuring £1 note National Bank of Scotland, 11 Nov 1879. I found an image of an actual note depicted on the badge. I have been looking for one for a while. 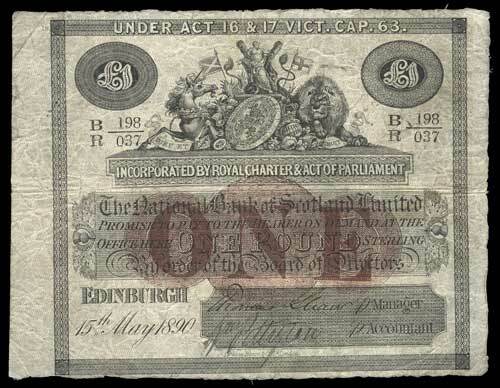 Although dated a bit later, this note is of a similar design. The actual note is worth around £1,500.